Cyber Security & Privacy Foundation is certifying Disk Cryptor (a freeware under GNU) for hard disk encryption. The tool is very small, compact, stable. It is better than most of the commercial software available in market. The product is robust and supports power failure/disruption during encryption of hard disk. It can encrypt USB/Mass storage/Hard disk/SSD Hard disks. You can safely encrypt your Hard disk, Bootable HDD using Disk Cryptor. 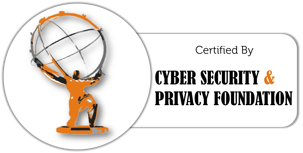 Cyber Security & Privacy Foundation certifies Disk Cryptor product.